Happy New Year! We have snow here in Durham (UK) at the moment, which I love. and It reminds me of happy times skiing in Europe as a child: at midnight, fireworks let off in Alpine villages were wonderfully effective; the colours lit up the white peaks and the sound reverberated around the valley. 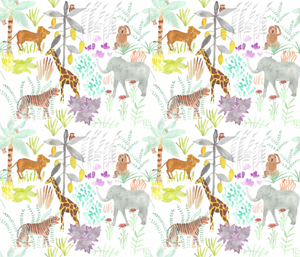 I drew on those memories to do the watercolour painting above, which I then made in to a repeat pattern for fabric (click here to see it). The fireworks also appear as the illustration for January on my downloadable 2018 calendar available here. In case you are planning some creative adventures yourself, I’m happy to be able to share a special offer from Skillshare which lasts for the month of January 2018. For this month only, you can receive 3 months of Premium Membership to Skillshare for just $0.99/73p! 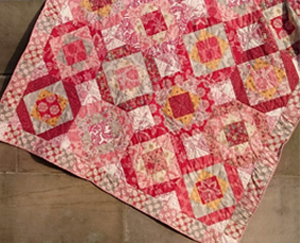 You can watch my class ‘Make Your First Quilt’ and get access to Skillshare’s catalogue of over 17,000 other classes. Use this special link http://skl.sh/2tqJnEf to redeem 3 months of Premium Membership. Please feel free to pass it on to anyone else who might be interested, too. Thank you for reading my blog. I wish you a very happy new year. I always wonder who is reading what I write each week, so please do get in touch, I’d love to hear from you – there’s a comments form. If you have a friend who would enjoy this blog, please would you forward it to them? If you would like to read this blog every week, look for the words ‘Follow this blog by email’ and enter your email address. The blog posts will arrive each Monday in your in-box. If you would like to receive my special monthly newsletter, complete with colour inspiration, design inspiration and a free tutorial, please complete the pop-up form or get in touch via the contact form. I will never share your email with anyone.